How Much Does Heat Pump Replacement Cost? Even though heat pumps have relatively long lifespans, there always comes a time when you have to ditch your old unit for a new one. 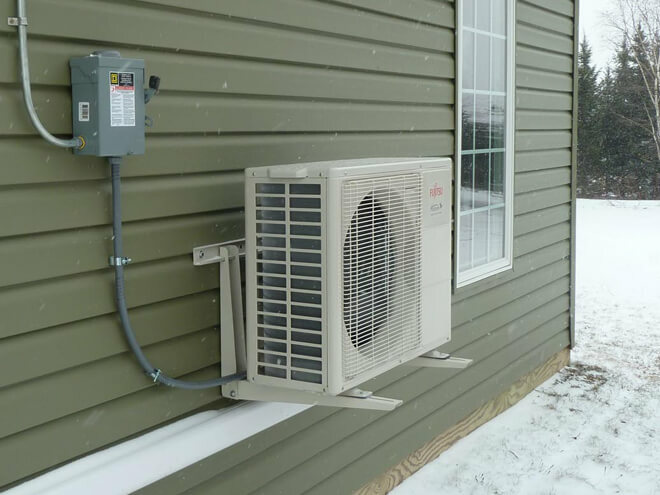 Heat pump replacement could result after your current unit has suffered a major damage, or when you simply feel that it’s time to upgrade to a newer, better unit. Whatever the drive, understanding the replacement costs will keep you in perspective when planning the project. How Much Will It Cost To Replace a Heat Pump? The cost to replace your heat pump will vary depending on a number of factors. A typical heat pump replacement project may cost as low as $1,500 and in some cases, but it can be as high as $9,500. The type of heat pump, size, and installation location play an integral role in determining the bill. Most homeowners, however, will pay an average of between $4,000 - $6,500 to replace their homes average sized heat pump. The type of the pump. This could be a geothermal or air driven unit. Geothermal units are more expensive to buy and install but are more efficient in huge buildings. Air driven units are smaller, cheaper and sufficient for domestic use. The condition of existing fixtures and amenities. If they are in good condition, you’ll just have to connect and plug in the new heat pump. The labor rates offered by your heat pump replacement contractor. If your heat pump is in need of some serious attention, you should hire a professional HVAC technician. It's definitely a smart idea to compare quotes and evaluate the various costs of heat pump replacement before hiring just anyone to do the job. This way, you get the best value and service for your money. HSPF: This stands for "Heating Seasonal Performance Factor", and refers to heating efficiency. This is the energy usage rating relative to its heating. A higher HSPF rating means a lower operating cost. BTU: This is a "British Thermal Unit", which is relative to the capacity or size of a heat pump. There are 12,000 BTUs per ton. A 2-ton heat pump will produce 24,000 BTUs of heating or cooling. On average, you could end up spending as little as $1,000, and up to $4,000 on mid-quality heat pumps. This, coupled with labor costs and additional accessories, will take the heat pump replacement costs to between $1,500 - $5,300 range. High-end units will cost you more, and most heat pump replacement contractors will charge you more. Hence, a $9,000 price tag. Requiring new ducting or replacing the old can in some instances triple your cost. If you complete your heat pump replacement successfully, you will end up with a more efficient air conditioning system. Your home will be more comfortable, and so will your monthly utility bills. Buying an efficient unit will have you spend more on the installation up front while saving more in the long run. Since heat pumps have a 20-year lifespan, chances are that the model you will be replacing is obsolete. Finding the new match would have you check in on performance levels, efficiency and size. You will want a unit that will better the standards set by the outgoing heat pump. Other than just focusing on the performance, take some time to think of other implied comfort metrics, for instance, the sound rating. A relatively silent heat pump can sit near your house as it won’t be too noisy. This will, in turn, cut down on material costs and increase efficiency since the heated or cooled air won’t have to travel through long ductwork to get into the house. Remember to frequently service and maintain your heat pump to maximize its performance and overall efficiency. The Department of Energy also offers some advice on what to look for when you are considering this type of installation. Interested in a more accurate estimate on the cost to replace your heat pump from professional HVAC technicians in your city or town? Simply enter your home zip code in the space provided on this page below and a local professional will reach out to you for a 100% FREE, no-obligation estimate on your overall heat pump replacement costs. There is absolutely no obligation to purchase, hire, or sign any contracts. Simply enter your zip below to receive quote from registered pros in your locale. The cost of your heat pump replacement will vary depending on your unique circumstances. Get in touch with local professionals to get a more accurate breakdown of the cost to replace your heat pump.